If you’re in the media business, September is one of THE most important months of the year. TV show’s premiere, magazines go all out and cosmetic companies launch new products. 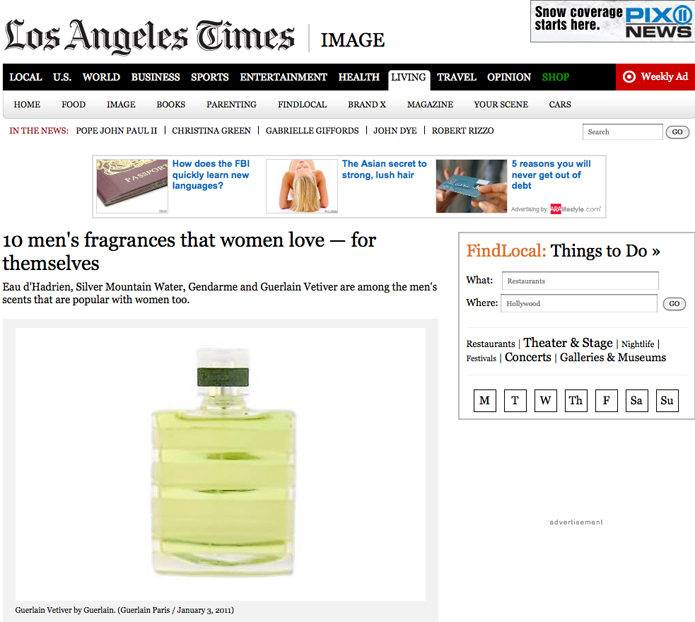 If you’re a fragrance lover, it can be quite an exciting time as well. 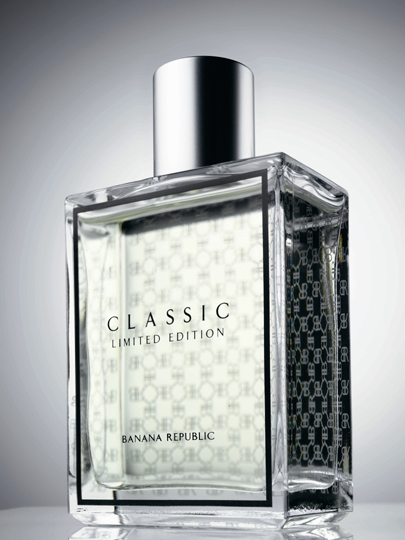 A new fragrance worth checking out is Banana Republic’s Republic of Men. It is the embodiment of sophisticated masculinity. Sparkling clementine mingles with wet plum and dewy fig leaf. A modern aromatic ensemble of sambac, rosemary, basil, sage and freshly crushed hazlenut comprises the scent’s inviting heart, while the lasting signature of the fragrance lies in unique bottom notes of fresh sandalwood, cedarwood and creamy skin musks. Republic of Men Eau Toilette is $45 (1.7fl. oz/50ml). I love the size. It’s a definite “must have” for your fall gym bag. You can find this gem exclusively at Banana Republic stores nationwide beginning September 2009. One day I was sitting with Michael chatting about a printing job I was asking him to consider for a client of mine when I just decided to blurt out, are you into men’s fragrances. I mean, he’s a pretty hip cat (he was wearing some sweet colored Nike Dunks) so I figured it was a fair question…well not only is Michael into fragrances but he proceeded to email me a picture of his collection. Needless to say, I was quite surprised by his submission and decided to let him have his say. What’s getting the most wear these days? What do you look for in a scent? 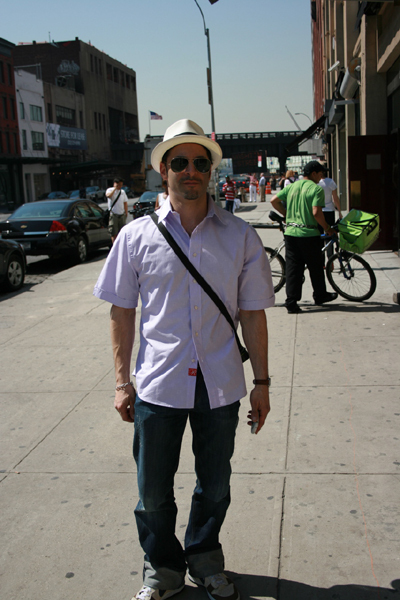 I like something that’s fresh but not to sporty. I particularly like woody and spicy scents. How often to you buy cologne? I would say I purchase a new scent at least twice a year. I’m slowing down a bit but there are a bunch I want to get like Dolce Gabbana’s The One, and ERMENEGILDO ZEGNA, John Varvatos and Paul Smith all have ones that smell great. Hanae Mori It’s really sweet but not in a feminine way. 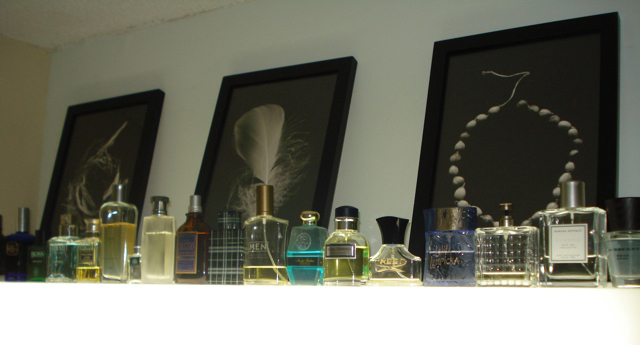 What’s your earliest recollection of fragrance in your life? I remember in the 70’s, my dad and a substitute teacher I had for 1 day, its kinda weird but I remember him vividly down to his lack of control of the class and his tan corduroy jacket with the elbow patches and long side burns, they both wore Old Spice which was more an after shave but it was very strong and nasty. How would you finish this statement…my most memorable fragrant moment would be…? I’ll give you two that have stuck with me like it was yesterday. When I was 15 I had a girlfriend who had the most amazing smelling hair. She used Silkience and it was amazing. Some years later, I was dating a young lady that wore Christian Dior’s Fahrenheit. Although it was for men, the way it laid on her skin drove me crazy….that was a good summer. I bet it was Michael. Thanks for sharing. Often times, packaging can make all the difference in the world. Case in point, this weekend I went to a Pinot Noir tasting and it came down to two from different regions but both were quite tasty. As I stood conversing with the attendant, I openly said this one is going to come down to aesthetic. He chuckled! But think about it, you’re entertaining friends and you’ve gone through the trouble to decorate as uniquely as you can, you certainly want your wine presentation to be up to par. To wine aficionados, this would be considered downright dumb. But these two wines were so closely matched that I needed something to push me over the edge. The bottle I picked, which was actually also picked by about 95% of the other customers that attended the tasting, possessed a sophisticated looking label while the other seemed a bit playful…either my palette was in tuned with the other patrons or the labels beauty nudged some decisions. All that to say that when I received my sample of Banana Republic’s Classic, it was in the most unassuming bottle…downright plain Jane so I couldn’t be persuaded by anything other than the scent. All I had running through my head was my own skepticism. Fragrance is the last thing I associate with them. If I need a reasonably good priced sweater, jacket or shirt, I’ll see what they have to offer because they have great staple pieces and every now and then, they produce a winner. Well, one of those winners for me this season is Classic. As part of Banana Republic’s 30th Anniversary, they decided to reintroduce an updated version of Classic. Originally launched in 1995 as an Eau de Toilette, the limited edition remixed version is being offered as an Eau de Parfum. From the moment I sprayed this on myself, I felt refreshed. The scent has a sweet crispness to it that one would associate with a summer scent but is being offered August-December. That makes me like this even more as its a bit unconventional. As fall rolls around so do the scents that are heavily woody and spicy and this is far from that. While cedar wood, ginger musk and teak wood make up the dry down notes, the freshness of the top and middle notes, which include grapefruit zest, bergamot mandarin citrus, lavender and honeysuckle, really dominate. So while your compadres will be smelling like burnt wood, or leather or a bunch of spices, you’ll have the cool, crisp edge of Classic to set you apart. By the way, the bottle looks good too.